We may only be a few weeks into 2019 but we’ve already enjoyed a fantastic start to what is already an award-winning year. 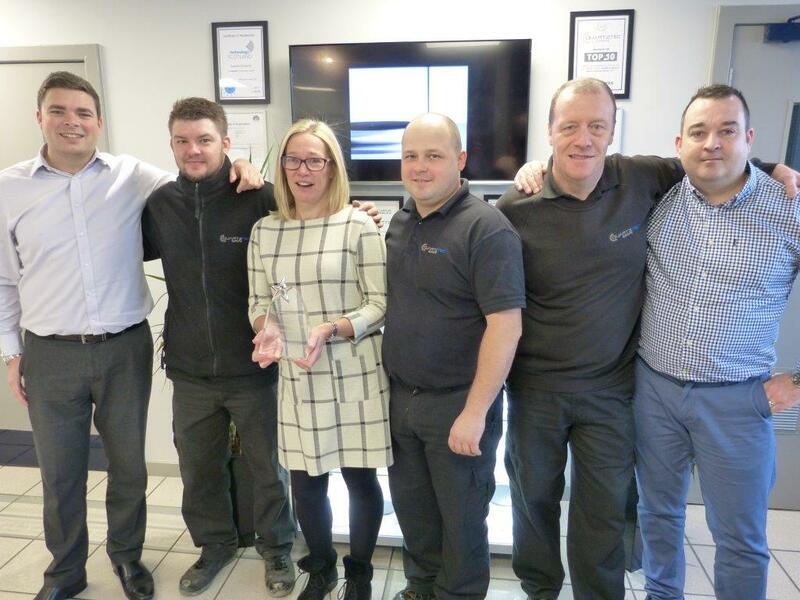 In January we were presented with the Direct Materials Supplier of the Year award from Newport Wafer Fab, which was our pleasure to accept. The award was presented to our Operations Director Gordon Whyte by Steve Lane, Purchasing Manager for Newport Wafer Fab Limited. It is always brilliant to be recognised by our customers for the great service and product we offer, and this could not be delivered without every single one of our team based in East Kilbride. Pictured with the award, we have just a few of the team which helped us reach this great achievement. We’re delighted with this excellent recognition so early in 2019. Let’s hope this is the first of many more as we progress through the year.